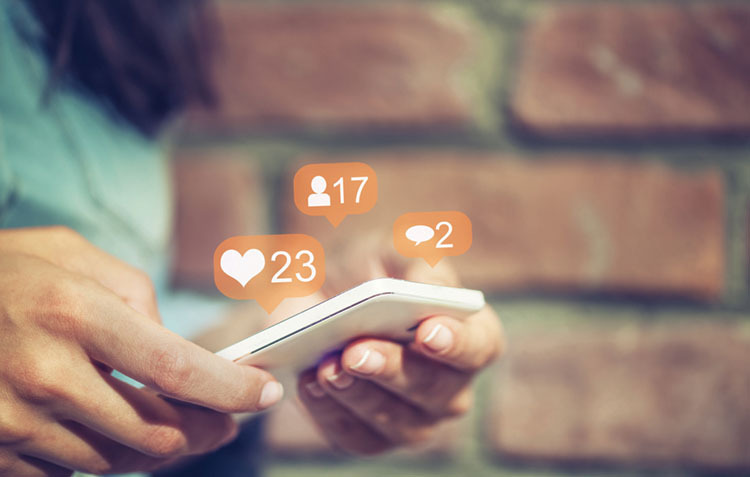 Judiciaries across the nation appear to have received the message from judicial conduct commissions regarding vitriolic posts on social media platforms. Such commentary has been condemned as indecorous and lacking the unbiased impartiality required from the bench. However, as judicial discipline cases and advisory opinions about social media have been handed down, the way judicial officers communicate online has not necessarily stopped, but shifted, from an active user to a more passive one. The question then becomes – is this new passive nature any less riddled with ethical pitfalls? While not actively stating support for a person, organization, or cause, a judge can be seen as illustrating her support when she likes, shares, reposts, retweets, or follows a person, a post, or an organization. In the Matter of Whitmarsh, the New York State Commission on Judicial Conduct disciplined a judge for making a Facebook post about a pending matter in a neighboring court. See In the Matter of Whitmarsh, Determination (New York State Commission on Judicial Conduct December 28, 2016). Judge Whitmarsh posted that she felt “disgust for a select few” that the defendant had been charged with a felony rather than a misdemeanor because of a “personal vendetta,” that the investigation was the product of “CORRUPTION” caused by “personal friends calling in personal favors,” and that the defendant had “[a]bsolutely” no criminal intent. The comment alone was deemed worthy of sanction, as it violated the rule prohibiting a judicial officer from commenting on a matter pending before any court. See e.g., IN ST CJC Rule 2.10. However, what makes this case pertinent is that the judge was also admonished for the comments of her Facebook friends. One friend suggested that the charges were filed because the complainant and the charging prosecutor had some type of “close personal relationship” and that there was no support for the charges, while another friend said it was “an abuse of our legal system” to over-charge. The judge “liked” each of these posts. The New York Commission determined that the Judge could be disciplined for the posted comments of her friends because (1) they were displayed on her public profile page, (2) she did not delete the posts, and (3) the judge “liked” the comments. The Commission reasoned that the judge liking the post suggested that she condoned or enjoyed the nature of the post. Additionally, the Commission noted that it was of little consequence that the comments were limited to where only her friends could view them. The Commission stated that such a limited audience provides a false sense of security, as those friends can share it with their friends, which in effect strips away any meaningful sense of privacy. See ABA Formal Opinion 462, “Judge’s Use of Electronic Social Networking Media,” (2/21/13). Similarly, reposting, sharing, or re-tweeting a statement posted by another has been viewed as adopting the statements contained within that post. The Texas State Commission on Judicial Conduct publicly reprimanded a judge for posting on his Facebook page a meme endorsing the extermination of Muslims and statements “railing” against liberals. See Public Reprimand of Burkeen (Texas State Commission on Judicial Conduct February 21, 2018). The Kentucky Judicial Conduct Commission publicly reprimanded a judge for sharing a news story on her Facebook account with the comment, “This murder suspect was RELEASED FROM JAIL just hours after killing a man and confessing to police.” See In re the Matter of McLaughlin, Agreed Order Public Reprimand (Kentucky Judicial Conduct Commission June 12, 2018). In both situations, the conduct commissions found that the judge’s sharing of a previously-created piece of media amounted to promotion of the material and, given the subject matter discussed, did not promote the integrity of the judiciary. Limit who may view your profile. Limit who can tag you in pictures, posts, and comments. When you “tag” someone, you create a link to their profile. Sometimes family and friends will want to associate you with an event, a picture, or an organization that they are passionate about.However, a judicial officer has a heighted responsibility to remain impartial (IN ST CJC Rule 1.2), to not participate in an activity that would require consistent disqualification (IN ST CJC Rule 2.11), or associate with discriminatory organizations (IN ST CJC Rule 3.6). Limiting who can attach items to your profile will ensure that you exercise greater control over your online persona. Limit the ability of others to post on your timeline or comment on your posts. Delete or limit who can view old posts that may prove problematic. Judicial officers seeking ethical advice on the Code of Judicial Conduct may contact Staff Attorney Marcus Alan McGhee at (317) 233-0225 or marcus.mcghee@courts.in.gov; or Counsel to the Commission Adrienne Meiring at (317) 232-4706 or adrienne.meiring@courts.in.gov.